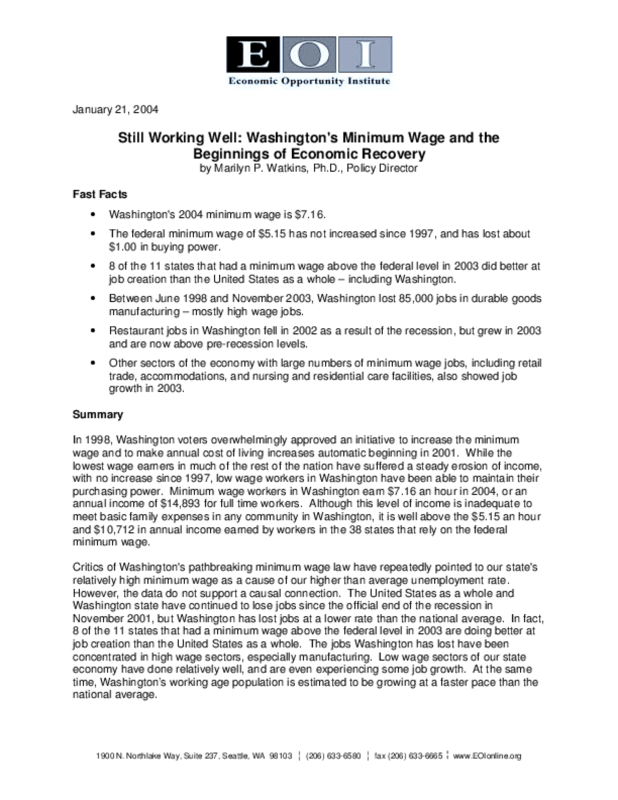 Critics of Washington's groundbreaking minimum wage law have repeatedly pointed to our state's relatively high minimum wage as a cause of our higher than average unemployment rate. However, the data do not support a causal connection. The United States as a whole and Washington state have continued to lose jobs since the official end of the recession in November 2001, but Washington has lost jobs at a lower rate than the national average. Copyright 2004 Economic Opportunity Institute. All rights reserved.